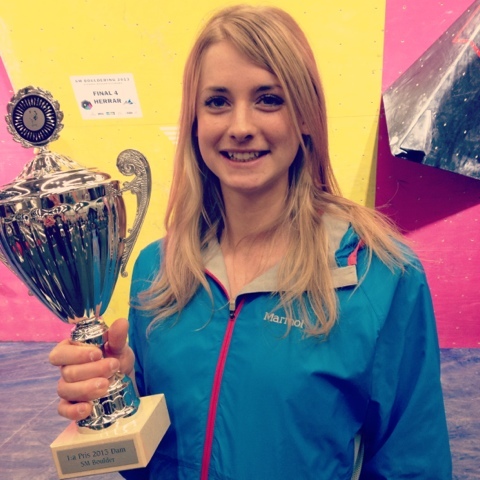 Matilda Söderlund: Gold at the Swedish Bouldering Championship! Gold at the Swedish Bouldering Championship! 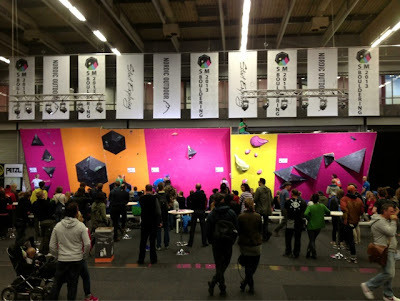 Last weekend I took the train to the west coast and Gothenburg to participate in the Swedish Bouldering Championship. The competition was probably the best I have been to in Sweden, everything was very well organized and the boulder problems were fun and spectacular. In addition, the competition was held in conjunction with the Nordic Outdoor fare so it gathered a big crowd of climbers and (hopefully) soon-to-be-climbers. I got first place so I was very happy about the result and my climbing wahooo! I really liked the colors of the walls..!